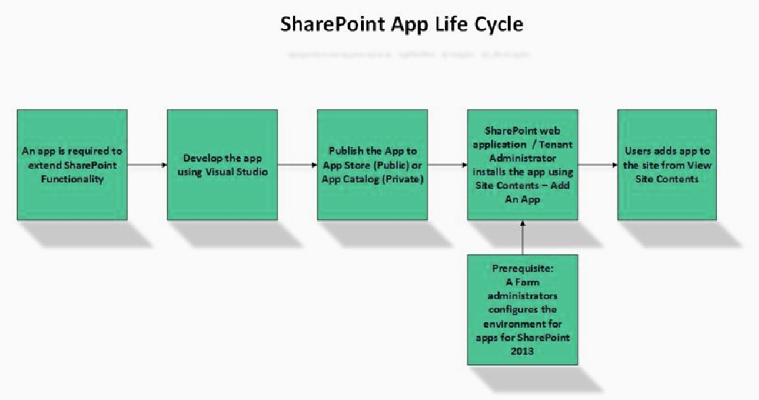 Engage with this new app model of SharePoint 2013 for getting a seamless app development. App development is always a tricky task due to the ever growing market of web apps, mobile business apps, game apps or other such applications. New apps are added daily on major global app platforms like Apple’s App Store, Android’s Google Play, Window’s Phone Store and such others which clearly explains the current trend and madness regarding web applications. Web applications are designed for every other day- to- day task and multiple platforms are used for their seamless development. Microsoft SharePoint 2013 is one such platform that has made the entire task of app development a cakewalk experience due to the presence of feature packed App model of this platform. Now, anyone can create engaging apps for their targeted customers by utilizing the wonderful features of SharePoint App model. Before discussing more about the features of new app model in Microsoft SharePoint 2013, we need to understand why there is lot of excitement regarding this revamped app model. Unlike, the previous app model of SharePoint 2010, the development and deployment process is quite simple as the entire solution can be seamlessly grouped within a solution file. These solution files can be easily upgraded and new code or functionalities can be integrated quickly in this multi- tenant environment like Office 365 through the help of sandboxed solutions. Let us explore more about the exciting features of this app model in this new and advanced SharePoint 2013 development. With the constant innovation and improvement, Microsoft has added loads of exciting new features in this Microsoft SharePoint 2013 which has dramatically changed the way of app development due to this new cloud app model. The SharePoint apps are stand-alone applications which can be easily installed, used, managed, upgraded and removed. Considering this, various cloud based and hosted SharePoint 2013 environments can make use of this cloud model for the crucial task of SharePoint app development. Security concern for app is now a bygone topic as this new app model makes use of isolation to separate the app from the main domain. With this SharePoint 2013 development, apps are actually deployed on their own website in their respective domain which prevents unauthorized accessing of sensitive information. Due to this feature, there is a significant boost in the adoption of on- premises development environment in order to make effective utilization of Public SharePoint Store. In this way, you can prevent illegal users from accessing your app data and thus avoids further instances of eavesdropping and hacking. Life cycle of an app plays a crucial role in the app development process. With this new app model, business entities can provide their users an amazing option to utilize the Public SharePoint Store or Internal App Catalog for finding, installing, upgrading or even removing apps without any external assistance of an IT professional. However, if you want to implement restriction on your public SharePoint Store regarding access, you can create your own Internal App Catalog and implement the desired access restrictions over there. This Microsoft SharePoint services allow user to choose which app they want to install and work with apart from the freedom of upgrading these app whenever a developer makes any changes in it. No doubt, this new app model is loaded with multiple features and functionalities but there are numerous business entities that are still working with the earlier existing solution model. The popularity of new cloud app model may take time to catch up with other existing app model. Keeping this fact in mind, the earlier existing solution model is widely supported and used in this new Microsoft SharePoint 2013 platform. It is definitely the arrival of good days as this new app model available in SharePoint 2013 development can make the task of web development really much exciting and appealing for web developers around the world. Give it your best shot and get an exciting app exactly as per your business requirements and customer needs.